The numbers that we use to describe the world are rarely exact. How long will it take you to drive to work? Perhaps "between 20 and 30 minutes". It would be unwise (and unnecessary) to say "exactly 23.4 minutes". This uncertainty means that "back-of-the-envelope" calculations are very valuable in estimating and reasoning about numerical problems, particularly in the sciences. The idea here is to perform a calculation using rough guesses of the quantities involved, to get an "order of magnitude" estimate of the answer you're after. Made famous in physics as "Fermi problems", attributed to Enrico Fermi (who used rough reasoning to deduce quantities from the power of an atomic bomb to the number of piano tuners in Chicago), this approach is integral in many current applications of maths and science. Cool books like "Street-fighting Mathematics", "Guesstimation", "Back of the envelope physics", the excellent "What If?" section of xkcd, and the lateral interview questions facing some job candidates: "how much of the world's water is contained in a cow?" are all examples. 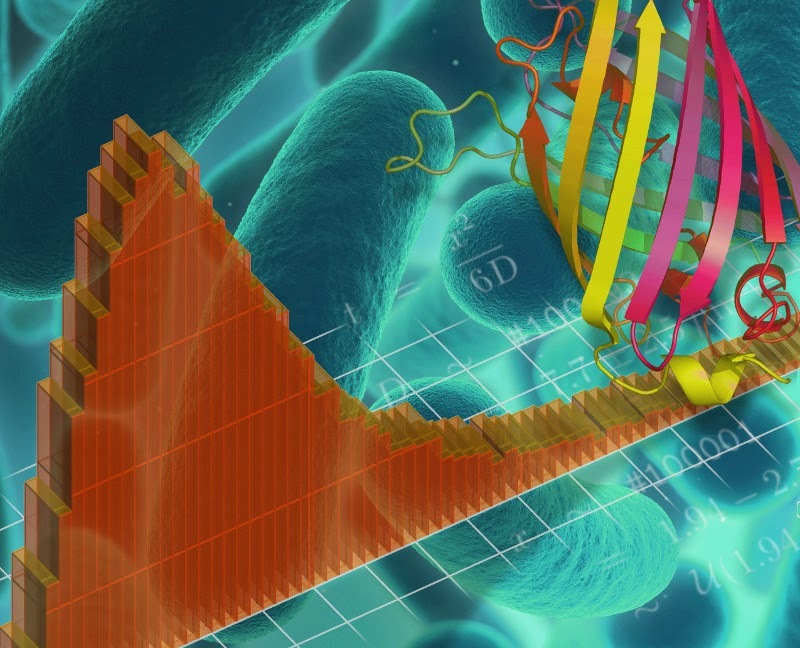 Calculations in biology, such as the time it takes for a protein (foreground) to diffuse through an E. coli cell (background), are often subject to large uncertainties. Our approach and web tool allows us to track this uncertainty and obtain a probability distribution over possible answers (plotted).